Instantaneously design your own tree wedding invitation suite. 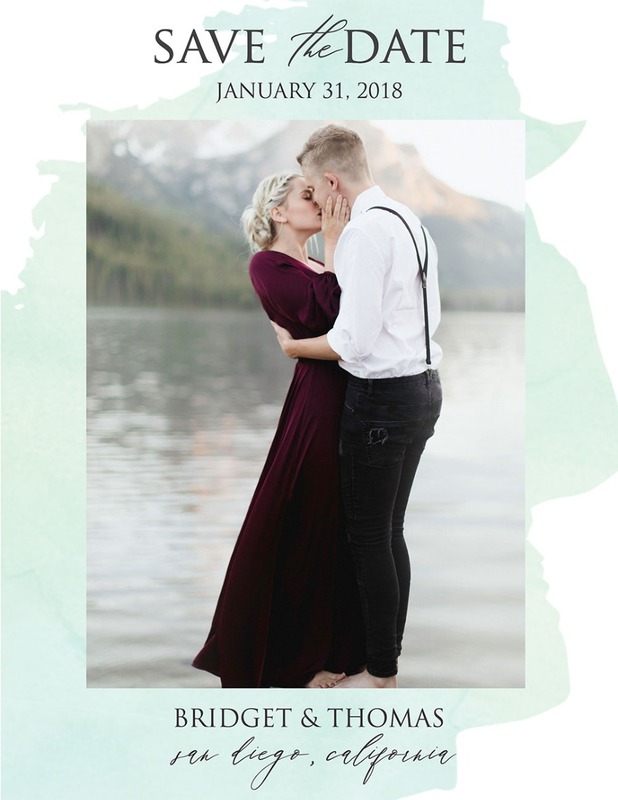 Simply upload your photos and information and BAM you have an incredibly cute FREE photo save the date. Enter your name, wedding date, and location and hit print and your wedding invitations are ready to be sent. You'll need to stuff and address the envelopes and put a stamp on them. Unfortunately, we cannot help you with that. 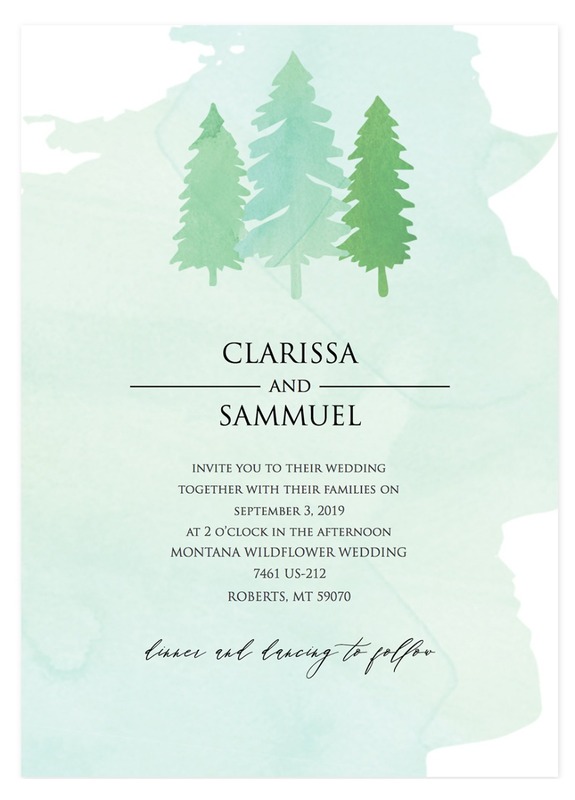 Scroll down to see everything this free wedding invitation template offers. Wedding invitation tip. Always buy a little extra paper in case you mess up and be sure to have extra ink for your printer. Obviously, you're going to need to see if your guests will be attending your wedding. 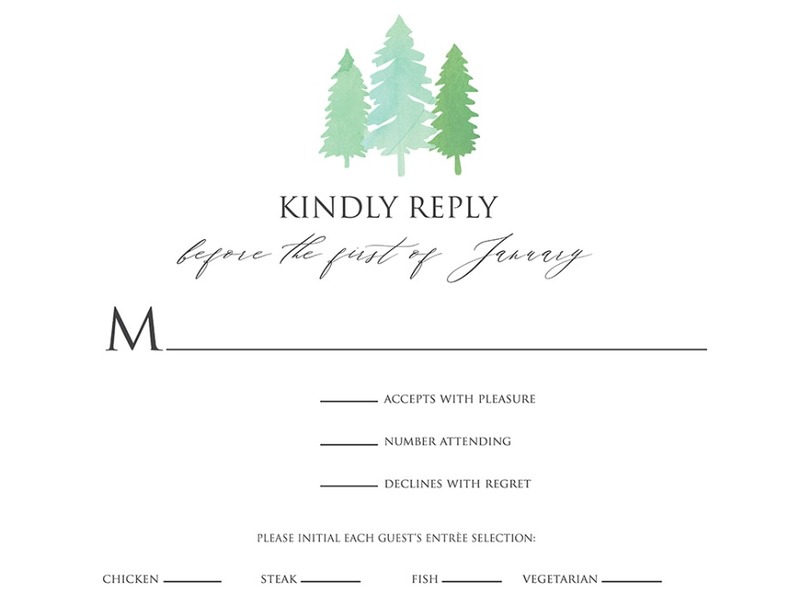 So, a RSVP card is a must and a tree wedding suite would not be complete without a tree rsvp card. Keep the rounded corner theme going with these A2 rounded corner card and envelopes. 40 cards & 40 envelopes is $12.95. If you plan on having a wedding program, don't worry we have you covered with our 4 X 9 free tree inspired wedding program. You'll need some paper to print these cuties out, and we suggest 80 4" X 9" wedding program cards is $16.95. Don't let guests get lost at your wedding reception. 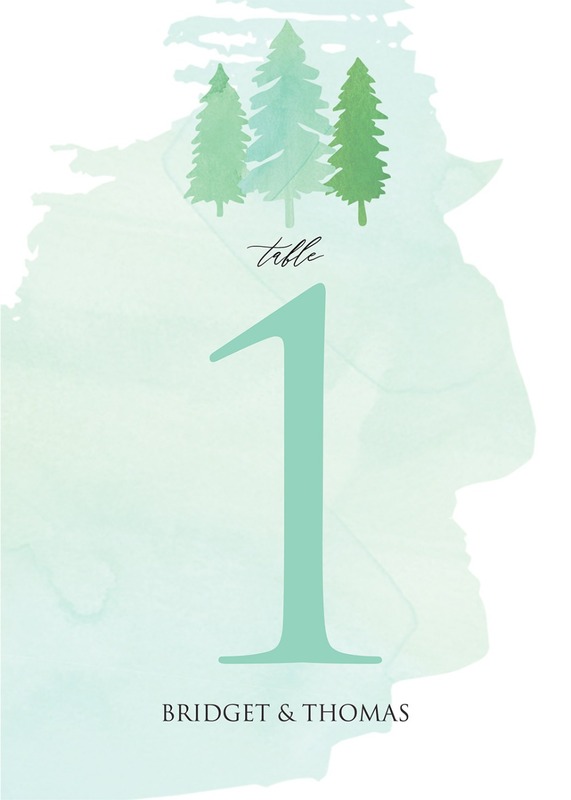 Print our free printable wedding table number and place it on your table. We love the idea of framing it and then later using that frame with one of your wedding photos. We love the idea of an acrylic frame (they sell them in packs of 5) or this rustic brown 5 X 7 wood frame sold in packs of 4. 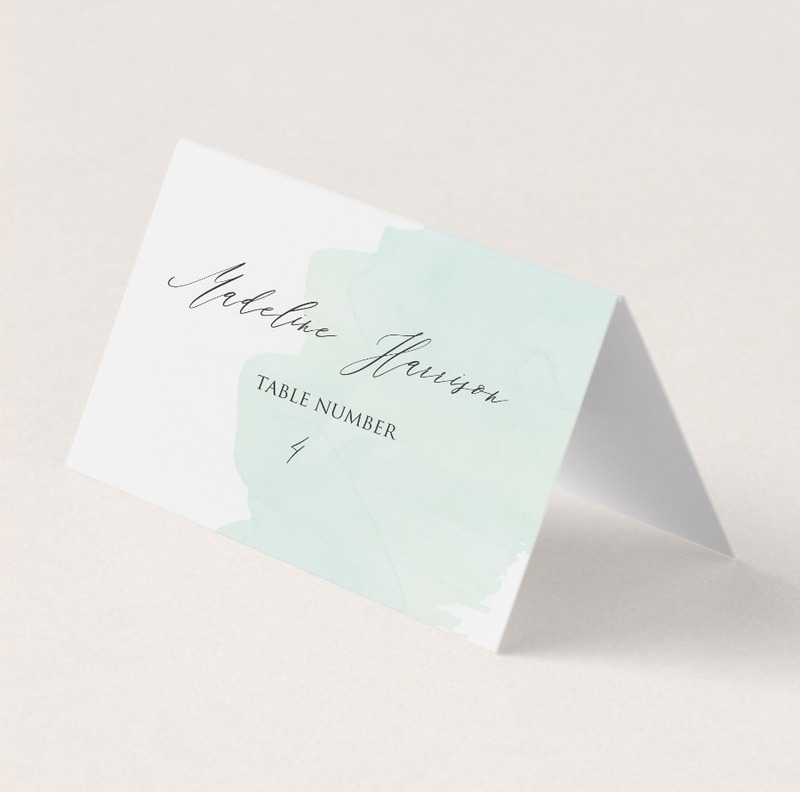 50 Blank 5"x7" heavy duty 14pt index cards are $8.95 Add a few more of these in your cart for your wedding menus. 100 Place Cards is $11.99. We'd say that is a pretty good deal! As we mentioned above to add a few extra 50 Blank 5"x7" heavy duty 14pt index cards to your cart for your wedding menus. 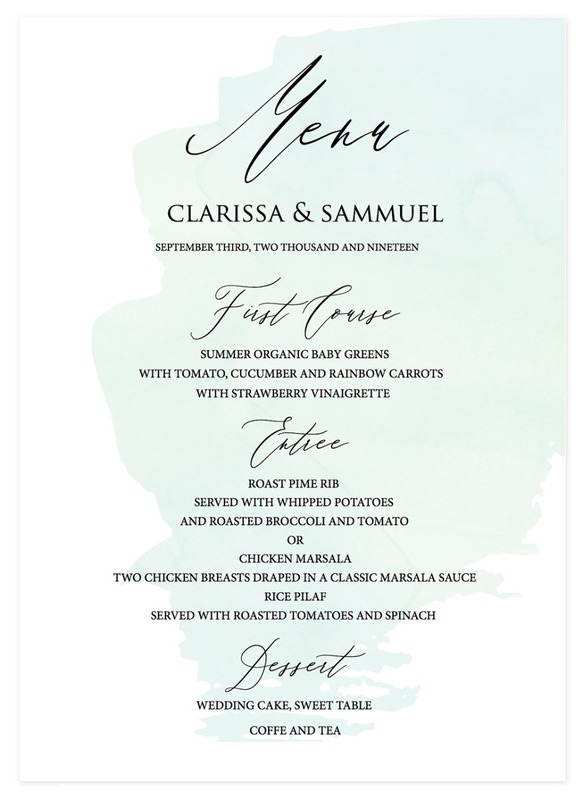 All you need to do on our free wedding menu template is fill out your names, wedding date and everything tasty that will be eaten at your wedding.